Jenglot is the satan from Indonesia in the javanese. loot the girls cut the hair. 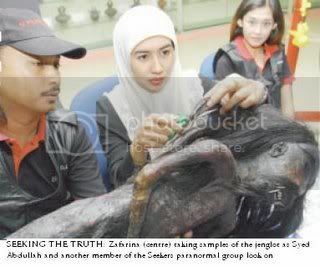 Long time a go jenglot is human but jenglot learn black magic, batara. jenglot food is blood. They say seeing is believing. And while in this day of digital image manipulation that might not be as true as it once was, these photographs are considered by many to be the real deal - photographic evidence of ghosts. Faking ghost photos through double exposure and in-the-lab trickery has been around as long as photography itself; and today, computer graphics programs can easily and convincingly create ghost images. But these photos are generally thought to be untouched, genuine portraits of the unexplained.